Add a pop of colour to your style with this pretty heart pendant. 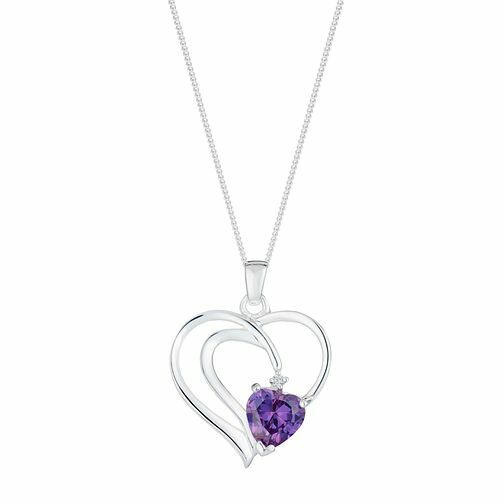 Crafted from sleek sterling silver, this elegant pendant features a twisting heart design with a glittering purple cubic zirconia set at its centre for a splash of colour and sparkle. Sterling Silver & Purple Cubic Zirconia Twist Heart Pendant is rated 5.0 out of 5 by 4. Rated 5 out of 5 by Anonymous from Awesome Quick and easy to purchase, no messing around. Would definitely recommend!